Giveaway ends July 11, 2015. I’ve decided to do one more giveaway before the release of When Cicadas Cry! But this one will only run a week! 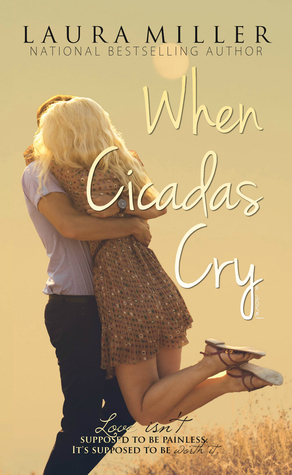 So, head on over to Goodreads for your chance to win ONE of FIVE, autographed paperback editions of WHEN CICADAS CRY! Each winner will also receive a commemorative When Cicadas Cry bookmark. *Also, this giveaway is only open to the U.S., and I apologize in advance to all my international readers. I ♥ you, too, and I’ll have more international giveaways in the future! ﻿And remember, you can still pre-order your copy of Rem and Ashley's story!